This review was made after 18 hours playing on my Vita and although I did not finish the game yet I felt strong enough in what I've played so far to give my opinion. My character, Ash, in some fancy new armor. 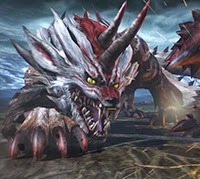 Toukiden: Kiwami is a game featuring a land under attack from creatures named "Oni," demons who have taken souls of their fallen enemies. 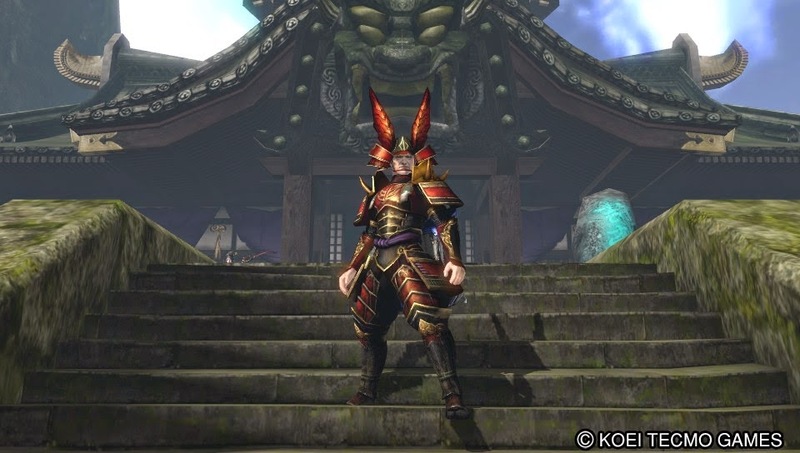 You become part of a group of "Slayers" to protect a village from the ever present Oni invasion. 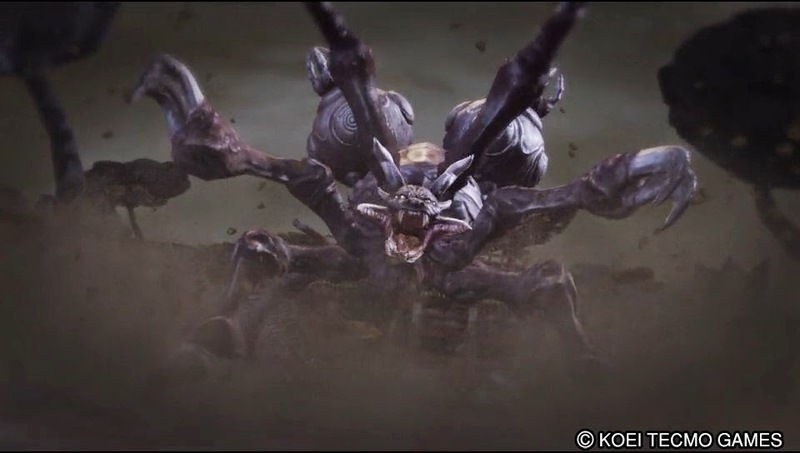 Gameplay is pretty much centered around you taking on a mission with a variety of NPCs (or online with friends), slaying a bunch of smaller Oni and possibly massive ones, collecting pieces of those creatures and upgrading weapons. I really enjoyed this as I had originally expected the weapons to be generic. Really take some time to make a weapon "yours." I settled on the gauntlets - sacrificing reach for some some serious pummeling action. Sorry for punching you there, lady. Now the game is about destroying demons, but those of you who like tinkering with weapon upgrades will enjoy this. In fact the whole "stat improvement" of leveling up is focused around weapons and armor compatibility. The more you use, the more your compatibility grows and then you can fortify the equipment. Weapons get stronger, armor can withstand more damage, or improve elemental defense. And don't be afraid to change weapon types after a while. It isn't impossible to shift to a new type, in fact you may want to keep those options open for dispatching different type enemies. You can buy/create a high level weapon with monster parts and start the fortification process all over again. This leads to unlockable weapons after you upgrade/fortify enough. 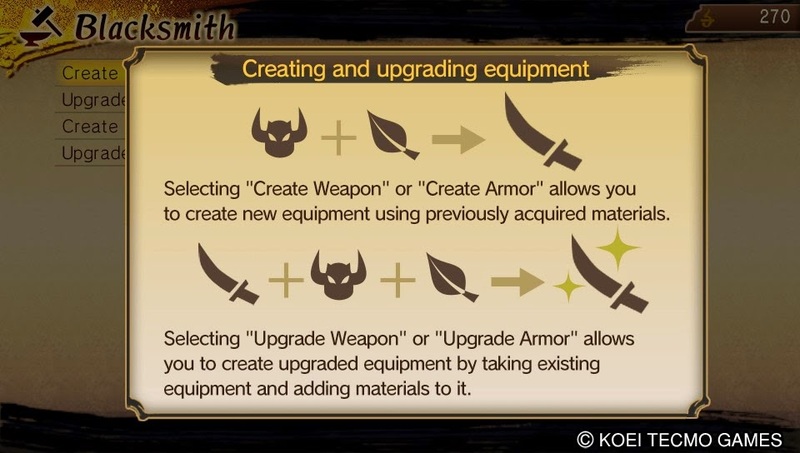 You are always balancing that "upgrade old weapons" vs "get a new one," and that makes for an engaging portion of the game. Another aspect of "leveling" comes from the souls you free from the Oni, called "Mitama." You link these souls to your gear and call upon their skills in battle. These can be both destructive, restorative, or curative types. 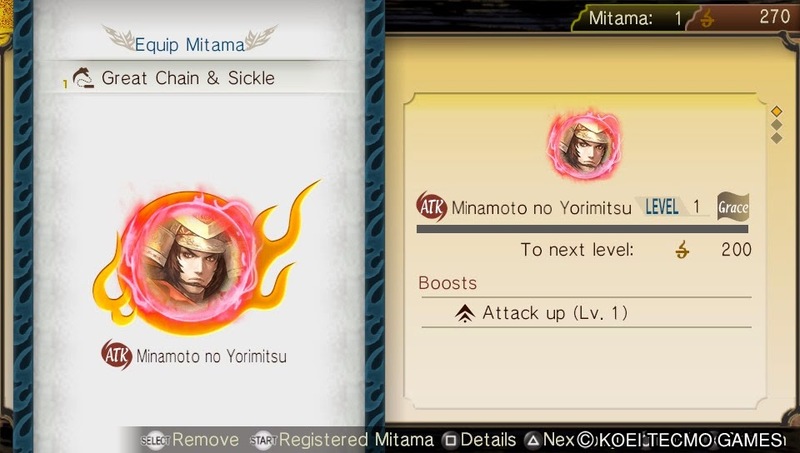 The mitama also give perks to boost defense or attack or speed. These also "level up" with use. As they grow, they learn new boosts, but after three you have to remove one to gain them. You can't get these back, so you have to choose wisely. You can't "grind" the mitama too quickly, the trainer that moves them up can only reach a certain level then as the game progresses her level cap increases. It is kind of annoying, but they make it make sense why you can't progress at a faster rate. Okay, now to the fighting aspect of the game. Weapon choice was covered earlier, but what about the enemy types? What about fighting control? What about those massive boss fights? The missions you get from the HQ are standard fare: clear three zones in this level, defeat X amount of enemies, beat X boss. The maps look pretty nice, nothing too spectacular, but some backgrounds showcase some detailed images such as massive statues and sunken ships. This makes the game have a believable environment. They are not all free-roaming environments, though. A level has different portions to it, like rooms almost (although areas are outside). There is a minimal load time between these areas which breaks you out of the action a bit. Attacking enemies changes based on the weapons you choose. It may be hard for me to lock onto an enemy and keep hitting it with my gauntlets which a bigger range weapon like the sword can hit them easier. 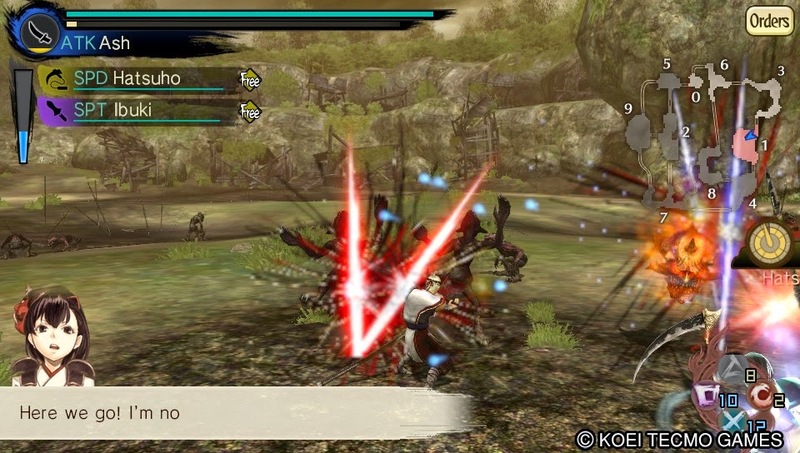 Even though you "lock on" to an enemy, you still have to twist the angle of your character to make a hit connect. This feels a bit clunky at times to fight the smaller demons, but the real fighting happens when you face off against a big boss. 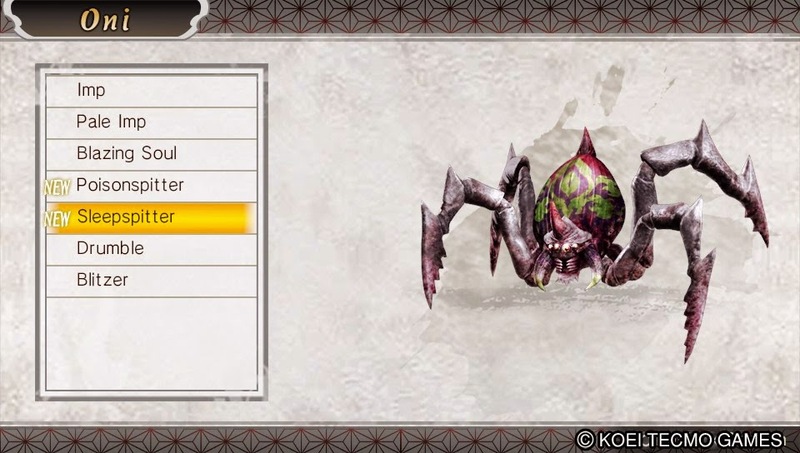 These are some pretty fun battles that involve you slowly hacking away at the enemy limbs and weakening the boss. Limbs pop off and you rush to absorb them so you can haul them back to town to upgrade. 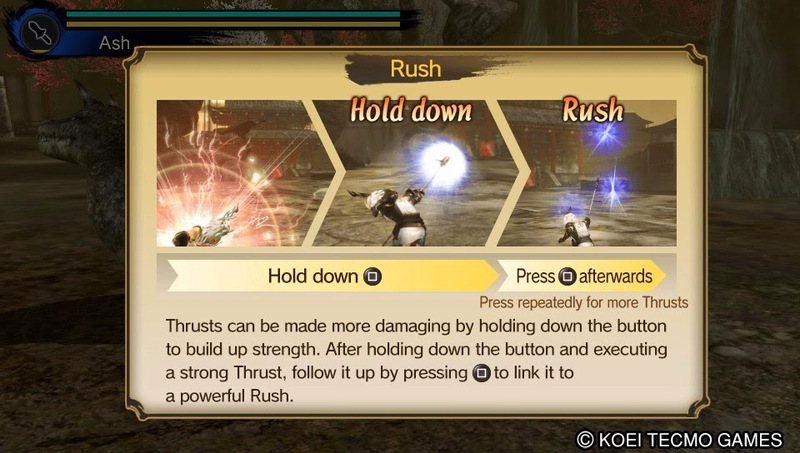 Boss fights require you to use a variety of attacks and you'll spend time studying attack patterns so you can know when to block or dodge or have time to unleash a flurry attack. Most missions you can choose your partners and these can make a difference. Some bosses need a good healing support team while others you want the heavy hitters on board. The monster variety is pretty varied, although some are just rehashes of other types with new color schemes or skins on them. After several maps of the same types of smaller enemies you may feel that it gets a bit repetitive, but then new missions and "quests" pop up to keep you engaged. 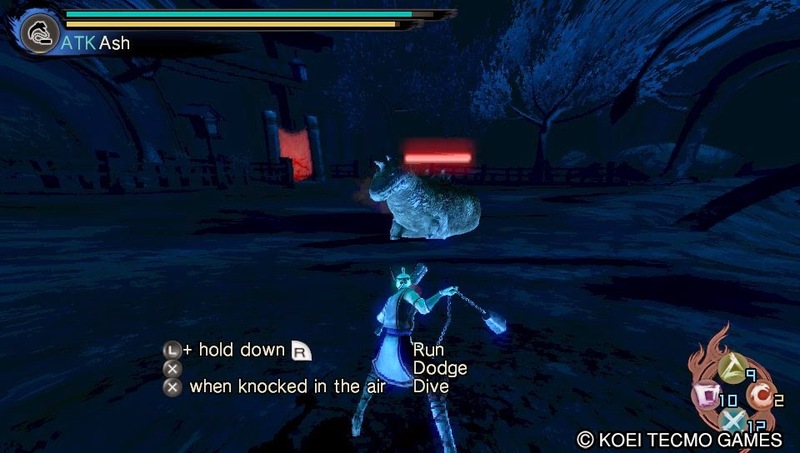 Some other interesting fighting techniques/strategies are available: for instance, you want to work with your partners to hack at the same body parts on bosses. This builds up a teammate meter that, when full, allows you to access a focused smash hit, often capable of immediately dismembering an opponent. You can also build up this same move by yourself, so at times you might get two of these mega powerful moves simultaneously. Do you care about the story and characters? The cast of characters, each of specializing in one of the 10 weapons, is varied and they all have a unique back story that unfolds as the game progresses. As you work with each one and help them along, you eventually are able to bond with them and share their mitama. 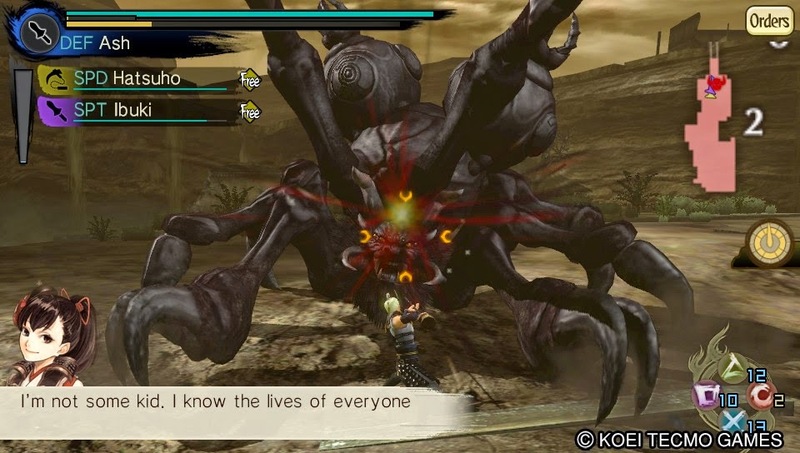 The writing is good, the dialog and options for you to choose in interactions are entertaining... it is fun to smash monsters but it was also fun to see the stories evolve. There is also a little fox character you have that can go on missions for you and collect materials. You feed it, care for it, and upgrade it's abilities. Just another way to collect stuff for your to use. Do you want to play online or adhoc? Go for it! The servers are up and I found a fighting team in no time. There is no online chat with the Vita unless you are in a "Party" with them. You can create different online servers/parties and invite your friends, making this an easy to access monster hunt with your friends. I found myself always drawn back into this game. 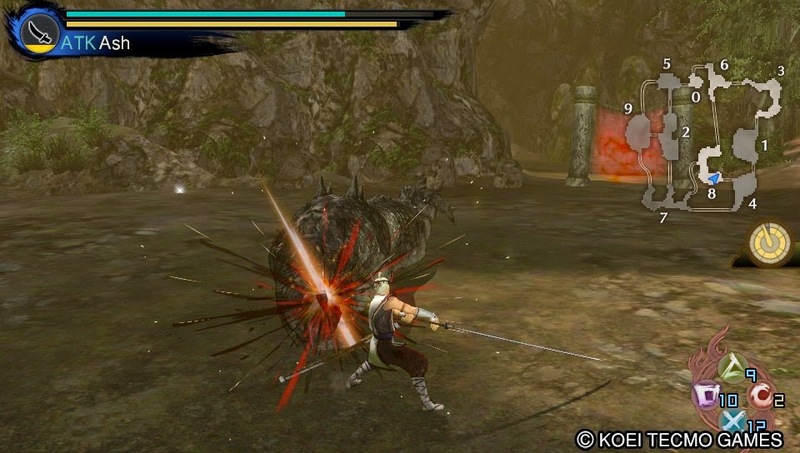 If you liked: Freedom Wars or Soul Sacrifice, you'll find yourself enjoying this game, too. Thanks, Koei-Tecmo for the review copy of the game. Readers! Let us know what you think of this game. Did you try it out yet?